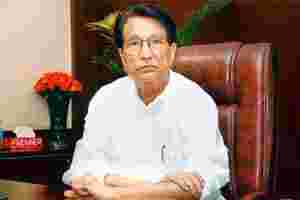 New Delhi: Rashtriya Lok Dal chief Ajit Singh, who took charge on Monday as the new civil aviation minister, will explain the government’s stand on the levy imposed on passengers for building the Delhi airport later this week in a reply to a motion moved in Parliament. K.N. Balagopal, Communist Party of India (Marxist) member of Rajya Sabha, in a letter to Prime Minister Manmohan Singh on 30 November termed the collection of airport development fee by Delhi International Airport Pvt. Ltd (DIAL) illegal. The ministry has to reply to the motion called on 22 December. “We are working on it," Ajit Singh said, referring to the motion. Singh held a meeting with top ministry officials, including aviation secretary Nasim Zaidi, to understand the issues faced by the industry. The appointment of the 72-year-old leader comes as the aviation industry is passing through turbulent times with several airlines facing losses because of high fuel prices and the depreciation of the Indian currency against the dollar. Overseas Indian affairs minister Vayalar Ravi had held additional charge of the civil aviation ministry since January. The RLD chief’s induction in the government is also expected to improve the Congress party’s prospects in the forthcoming Uttar Pradesh assembly elections, especially in Singh’s stronghold in the Jat community-dominated western Uttar Pradesh. A government official said the opposition has sought an “amendment through a motion to a rule we had made on airport development fee." The government official, who declined to be named, said it is not possible to change an airport Act and, therefore, the reply is likely to convey that the change being sought through the motion is “illegal". Balagopal in his letter said the fee collected by GMR Infrastructure Ltd-controlled DIAL should be refunded or used for other government airports. “I had brought to your notice an amount of ₹ 1,481.72 crore which was collected without any legal provision. The hon’ble Supreme Court in a judgement had directed DIAL to stop this illegal collection. The illegally collected money is now lying with DIAL. I had requested you to recover this amount from DIAL and use (it) to develop other government-run airports in the country," he said in the letter, adding, “Since this amount is collected without any legal provision, DIAL is not eligible to keep it. As a matter of routine, it should have gone to the exchequer of the government." Former civil aviation minister Praful Patel allowed DIAL to collect the fee from passengers to fund its ₹ 13,000 crore development and modernization. The Airports Economic Regulatory Authority (Aera) had not been established and, therefore, the jurisdiction to allow such a fee was with the ministry. The matter went to the court earlier this year, after which the Supreme Court ruled in its judgement that Aera needs to pass an explicit order for DIAL to continue the levy. Aera last month cleared the proposal allowing such a fee from 1 December.